It’s good to know that, while a safari is almost certainly your main reason to visit Kenya, many fascinating options exist to round out your vacation. Nairobi, Kenya’s lively capital, offers the proverbial something for everyone. Hotels range from comfortably budget-conscious to ultra-luxurious; nightlife plays the scale from gentle jazz lounges to raunchy clubs, and restaurants offering African fare like zebra, hartebeest, ostrich, and crocodile. Gigiri, 10 kilometres from the city centre, is home to popular eateries, bars, and Village Market with 150 stores and the weekly Maasai Market featuring tribal crafts. For something different, visit Nairobi’s race tracks off Ngong Road and at Limuru, a short distance from town. But check what’s racing: horses, camels, ostriches, or cars. On a more sedate note, the National Museum describes the country’s past and its contemporary cultural kaleidoscope of 40 ethnic peoples. The Bomas of Kenya features a replica traditional village and tribal dancing, and Karen Blixen’s (Out of Africa) farmhouse gives insight into the colonial era. No other city boasts wildlife on its perimeters, and Nairobi National Park (117 square kilometres) makes this capital unique. Leopard, lion, buffalo, and rhino (the park is a rhino sanctuary) can be seen as well as a multitude of other creatures. Only elephant are absent from the Big Five – and they can sometimes be viewed in the park’s David Sheldrick elephant sanctuary. 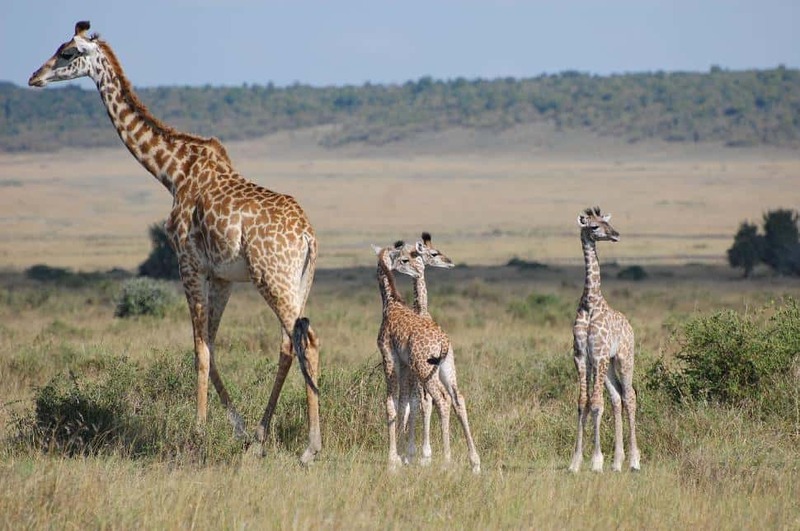 It’s not far from the Blixen museum grounds, and nearby is The Giraffe Manor, an exclusive hotel set in 56.6 hectares with a resident giraffe herd so used to guests they occasionally stretch through hotel windows to take food off tables. At Ngorongoro Conservation Area in Maasai lands Louis and Mary Leakey first searched for clues to our distant past at Olduvai Gorge more than 70 years ago. More than 60 hominid remains have since been found, and Olduvai museum tells the story well. The best known Maasai land is the Mara (about 290 kilometres southwest of Nairobi in the South Rift region) where the famous migration of millions of wildebeest and zebra occurs each year, usually from late June to early September. Masai Mara is a year-round reward for game viewers, but book early for the migration. Lodges fill fast at this time. 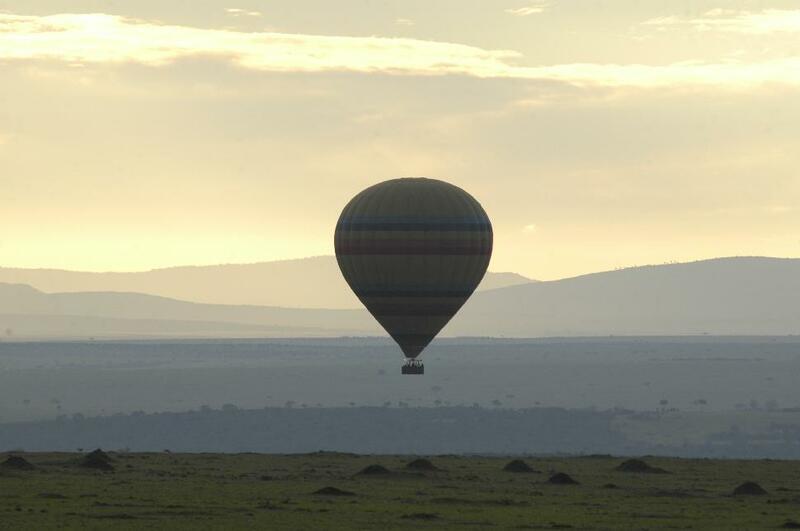 For an elevated view of the animals in the Mara (and most parks), take an early morning hot air balloon ride. A champagne breakfast in the wild is the traditional finale. The Mara is a tiny part of the Great Rift Valley, the 6,000-kilometre-long trench running from Syria to Mozambique. It splits Kenya through its length, and – at places like Lake Naivasha – creates cliffs almost 2,000 metres high. Six major lakes within the Kenyan valley floor are a haven for wildlife, and lakes Nakuru and Bogoria are famous for thousands of flamingos lining their shores. At Lake Bogoria hot springs provide a natural spa for visitors. Don’t miss Mombasa, the unique Swahili town on Kenya’s beautiful coastline. A classic way to get there from Nairobi is by train, a 530-kilometre journey. You’re sure to see wildlife from the train, but travel first class for comfort (and the inclusive meal service) and curb punctuality concerns. 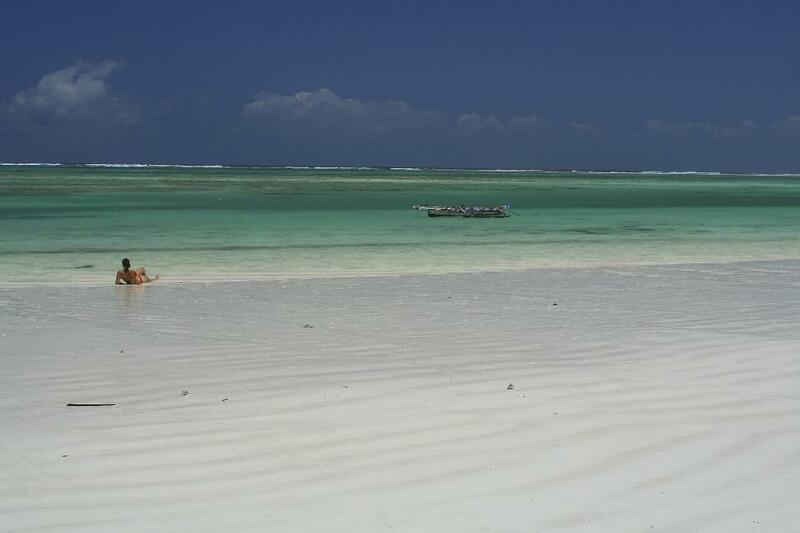 Kenya’s coastline boasts some of the world’s most beautiful beaches – 480 kilometres of them – and a beach add-on to a safari makes a well-balanced vacation. Coral reefs teem with marine life so it’s no surprise that diving, snorkelling, and other water sports are popular here. North of Mombasa is Lamu Island where cars are prohibited and transport is by donkey. Ancient mosques and Arab houses with intricately carved doors are features of Lamu Town. Don’t miss the museums or the 15th-century Gedi ruins of a forest town destroyed by a vengeful sultan. Mombasa’s old town is coloured with narrow, crowded streets, Arab-style houses, the 16th-century Portuguese-built Fort Jesus, and the old port. Shop in Biashara Street for native kikoi and khanga cloth, and at Makupa Market with the locals. Check out Bombolulu Workshops for leather goods and jewelry made by the disabled. A short drive along the beach road is Ngomongo Villages, a cultural park demonstrating the lifestyles of 11 Kenyan tribes. Mt. Kenya, second highest mountain in Africa at 4,986 metres, provides plenty of challenge to climbers. Use qualified guides and arrange a climb as part of your tour. Small towns around the mountain base include Muranga’a where cathedral murals depict the 1950s Mau Mau rebellion. Nearby caves hid the rebels. Safaris combining golf with wildlife viewing (sometimes on the course) are burgeoning. Two new clubs are under construction at Vipingo Ridge, and 10 of the country’s 40 courses are used for championship events. Many coastal hotels (and some in the capital) have wellness centres – a step up from the simple spa – providing oases of tranquility. 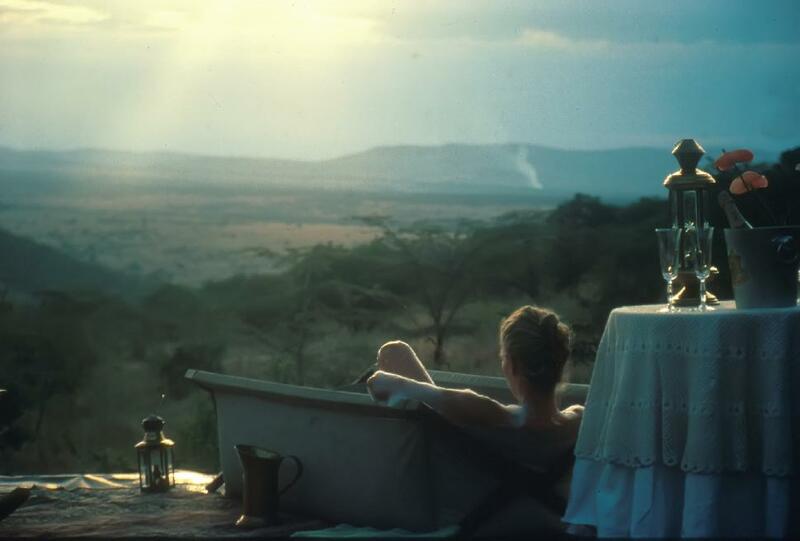 A few luxury safari camps and lodges also offer spa treatments. Western Kenya offers traditional bullfights at Kakamega, tea plantations in the Kericho highlands, and athlete altitude training in the Western Highlands, from where most Kenyan Olympic stars hail. Serious runners enjoy training with champions like Moses Tanui and Kip Choge Keino. If wedding bells are about to ring call on Kenya’s wedding experts. They can arrange ceremonies from barefoot to black tie, in the bush, in tented wilderness camps, on the beach, or wherever you like, including a candlelit safari camp for two, with champagne and an outdoor “star” bed beneath a fine insect net.